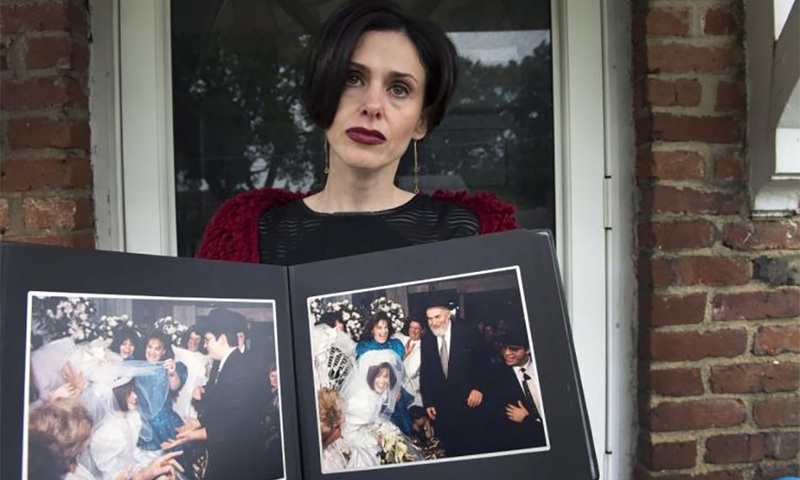 After being married off at the age of 19 to an abusive husband by her ultra-Orthodox Jewish family in New York City, Fraidy Reiss vowed to make a difference - and stop child marriage in the United States. For while campaigners globally are trying to stop child marriage in such places as Africa and Asia, few people realise that child marriage is legal in every one of the 50 US states. Between 2000 and 2010, about 170,000 children aged under 18 were wed in 38 states where data was available, according to Unchained at Last, a non-profit group set up by Reiss in 2011 to fight child marriage in the United States. "People like to believe we are better than other countries and problems like violence against women and child marriage and forced marriage and pay inequity and all kinds of problems that happen in developing countries don't happen here," she said. "Unfortunately that's just not the case," said Reiss who brings her campaign to London this week, where she will speak at the Thomson Reuters Foundation's annual two-day Trust Conference on women's empowerment, human trafficking and slavery. For although age 18 is typically the minimum for marriage, every US state has legal loopholes or exceptions allowing children to wed at a younger age. These vary from permission from a judge, parental consent, or a so-called emancipated minor legally freed from parental oversight. Some states have a military service exception - allowing soldiers being deployed to marry - and other states have a pregnancy exception, some with no minimum age. "If a girl gets pregnant before the age of consent that means she was raped," said Reiss, who defied ostracism from her family to divorce her husband, go to college and get a job. "Yet judges are handing them marriage licences instead of a prison sentence." Globally about 15 million girls are married off as children every year, according to the World Bank and Save the Children, exposing them to greater risks of exploitation, sexual violence, domestic abuse and death in childbirth. Nearly 100 million girls live in countries that do not have laws protecting them from being married as children but world leaders have pledged to stamp out child marriage by 2030 under the United Nation's latest set of global goals. Reiss said a few US states recently changed their laws - such as Virginia, Texas, New York and Connecticut - but they still have exceptions to an all-out ban. The governor of New Jersey, Chris Christie, recently refused to sign a pioneering bill that would have prohibited any child marriage, saying the law should make an exception for judges to approve marriages for 16- and 17-year-olds. 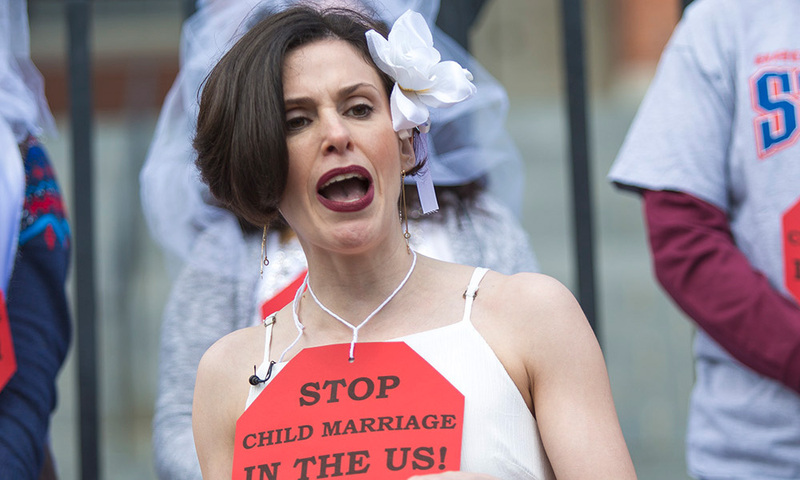 Reiss said the resistance she faces to a child marriage ban is "anti-female", noting most child marriages are girls marrying adult men, with studies showing about 87 percent of US child marriages involved underage girls and 13 percent boys. "If I talked about boys being pulled out of high school and their health undermined and their education destroyed and their economic opportunities just gone, it would be a very, very different situation," she said. "It's misogyny and sexism, patriarchy... and ignorance. The way to end child marriage is to eliminate all loopholes, all exceptions. End this human rights abuse for once and for all."